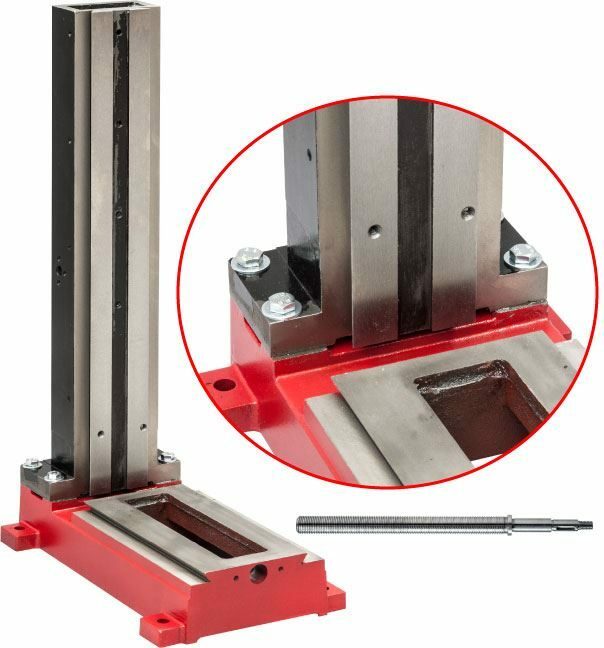 Replace your tilting column on your SIEG SX2 Mini Mill with this Fixed Column Conversion Kit to get the extra rigidity your machine deserves. These newly designed column and base castings are made to replace the tilting column arrangement used on the SX2 Mini Mill. Extra Thick Box Section Column: Approx 10mm thick. 'Long Feed' Base Casting - this is slightly longer than the standard X2 base. 'Long Feed' Y-Axis Feed Screw - this is required to match the longer base casting and increases the Y-axis travel from 100mm to 130mm.